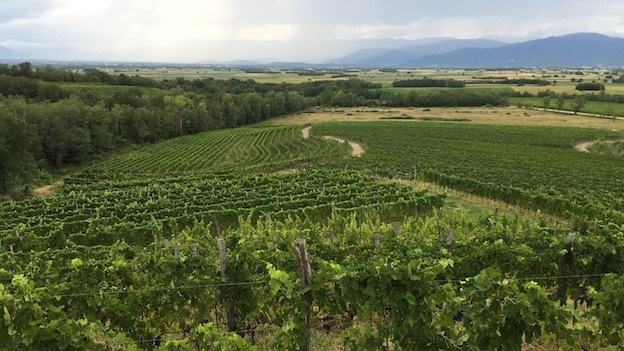 These new releases from Miani and proprietor Enzo Pontoni show that Friuli’s most inspired, quality-obsessed grower continues to push the boundaries with brilliant whites and reds that showcase the pedigree of the region’s best sites. Miani fans have a lot to look forward to this year. Enzo Pontoni is releasing the first wines from his new Zitelle property. There are numerous other developments taking place at this tiny, garage-like winery in the heart of Friuli’s Colli Orientali as well. One of Friuli’s most ambitious growers, Pontoni is not resting on his laurels, but rather pushing ahead with his usual drive, total obsession for perfection and passion for the land. The best time to catch Pontoni is still at the end of the day or when it is raining. Otherwise, he pretty much spends every waking hour, except for lunch, in the field. In 2006, Paolo Meroi, Pontoni’s close friend and colleague, had the opportunity to purchase a large tract of land known as Le Zitelle, (which translates into The Spinsters in English) in Buttrio through his rights of first refusal (known as diritti di prelazione) in the event of a sale. Le Zitelle was owned by a group of local nuns who over the years had leased out portions of land to local growers. The parcel was too big for Meroi alone, so he and Pontoni essentially split it. Pontoni was quite emotional when he showed me the site. His grandfather had done some of the original plantings here many years ago. As part of the division of blocks, Pontoni gave Meroi his Refosco Calvari parcel, which means that wine will no longer be produced, at least not by Miani (more on that below). Following the acquisition, Pontoni completely replanted Le Zitelle. The 2015s are his first wines off the property. There are a few modifications to the lineup of 2015 whites being released this year. 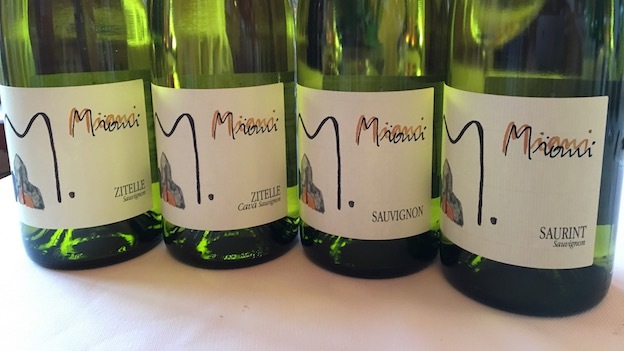 To start, readers will find two new Sauvignons from Le Zitelle, including a selection called Cava that emerges from a parcel with very poor, stressed soils. Pontoni did not bottle his Friulano Buri, as the wine did not meet his exacting standards. Similarly, Pontoni was not happy with the Sauvignon Banel, so that wine went into the straight Sauvignon bottling that also includes younger-vine fruit from Le Zitelle. The Chardonnay Baracca is yet to be bottled and will be released next year. Pontoni made both of his Merlots in 2013. As mentioned above, there will be no more Refosco Calvari, but Pontoni has two new Refosco parcels, one in Buttrio, the other in Rosazzo, that will inform new wines in future vintages. Investments in vineyard land continue. Pontoni now also owns the Merlot parcel in Manzano that informs his Merlot Filip. Total production for all wines being released this year is 20,000 bottles, an all-time record for this tiny estate. When all the new vineyards are online, production might reach 25-28,000 bottles maximum, a drop in the bucket by standards pretty much anywhere else in the world. For the last two years, Pontoni has been experimenting with adding no SO2 at crush and using selected yeasts, whereas in the past the wines saw SO2 at crush, but were then fermented with natural yeasts. To be sure, 2014 and 2015 presented highly differing growing conditions, from the cold and rain of the former vintage to the warmth and radiance of the latter. It will be interesting to see where these latest winemaking choices lead once there is more of a track record to look at. The 2015 whites are, not surprisingly, rich, radiant and inviting pretty much right out of the bottle. I prefer the whites with at least a year or two of bottle age, but the 2015s are quite expressive, even in the early going. The 2014 whites, on the other hand, are the product of one of the most challenging growing seasons ever. Unusually, Pontoni chose to put the whites through full malolactic fermentation to give them more richness. 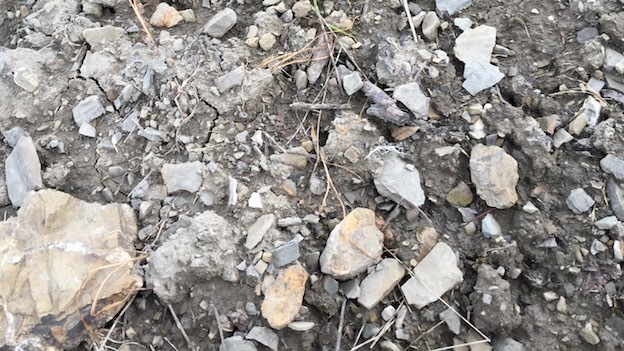 The 2014 whites are solid for the vintage, but the struggles of the year are impossible to fully escape. Perhaps even more importantly, readers will note a huge stylistic shift with the reds in 2013. A less extreme approach in the vineyards and gentler winemaking yielded reds build on aromatic intensity, finesse and nuance, as opposed to the more muscular style Pontoni favored in years past. That approach is accentuated by the natural freshness of 2013, a late-ripening vintage that produced healthy, ripe fruit with bright acidity. The contrasts between the 2013s and the 2012s, wines from a much warmer, drier vintage, are telling. 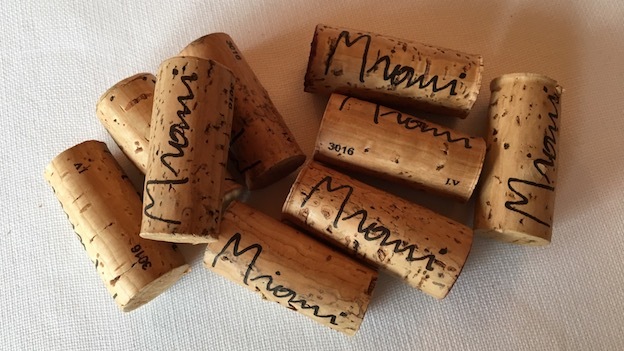 I tasted the Miani new releases (the 2015 whites and 2013 Merlots) in February 2017, while the 2014 whites, 2013 Rosso and 2012 Merlots were tasted at different points over the last year.